The words 'nutrient dense' are bandied around a lot lately and often unfortunately are used to promote food products that actually aren't all that healthy for us. So, it begs the question, what does 'nutrient dense' actually mean and how can we ensure the foods we are choosing fit the bill? In a nutshell, nutrient-dense foods are the ones that will give you the most bang for your buck as they'll contain a high proportion of vitamins and minerals relative to the amount of energy (kilojoules) they contain. However, it's important to look for foods that are naturally nutrient-dense (such as fruits, vegetables, eggs, lean red meat, dairy and wholegrains) rather than relying on those that have been fortified (added to foods), such as breakfast cereals, breads and fruit juices. Basically, to keep it simple, you want to be eating foods that are as much in their natural, unprocessed state as you can, as much as you can! Is there such a thing as nutrient dense packaged foods? While it is always a good rule of thumb to predominantly try and consume foods that are as unprocessed and in their natural state as possible, there are times when convenience prevails and we reach for foods that are packaged. This is when it becomes important to read ingredients lists carefully and look past how a product is marketed as this is often quite deceiving with many health claims on boxes these days that are quite simply just words on a box and not relevant to the actual ingredients contained within. As well as the term nutrient dense, some other commonly used and VERY misleading examples are when companies use the terms natural and organic in their marketing on their packaging or even as part of their logo/tagline to imply that these products are nutrient dense. Here in Australia there is only a voluntary standard for growers and manufacturers wishing to label their products organic. While it's considered good practice to comply with voluntary standards, it's not enforced which means that products could be branded as 'organic' when they might only contain one truly organically certified ingredient! The same can be said for the term natural too with many products mentioning this, but still containing ingredients like highly refined sugars. If eating 100% naturally and organically is high on your agenda, the only way to ensure this when purchasing packaged food is to learn to read the labels for what they actually mean, research individual ingredients to find out if they contain high quanities of nutrients or not and to look for those that are certified by one of the organic certification bodies and marked with their symbol, logo or trade mark. What are the best nutrient dense foods to eat during pregnancy or while breastfeeding? Despite how common it is these days for packaged goods to make these claims, there are still reputable companies out there who put a great deal of effort into ensuring each individual ingredient that goes into making a product is as nutrient dense and as natural and organic as possible. Our cookie manufacturer Totally Devoted is one of those who handpick each ingredient after much research to their health benefits for mums, bubs and families and why they've become a trusted brand here in Australia for a long time now. 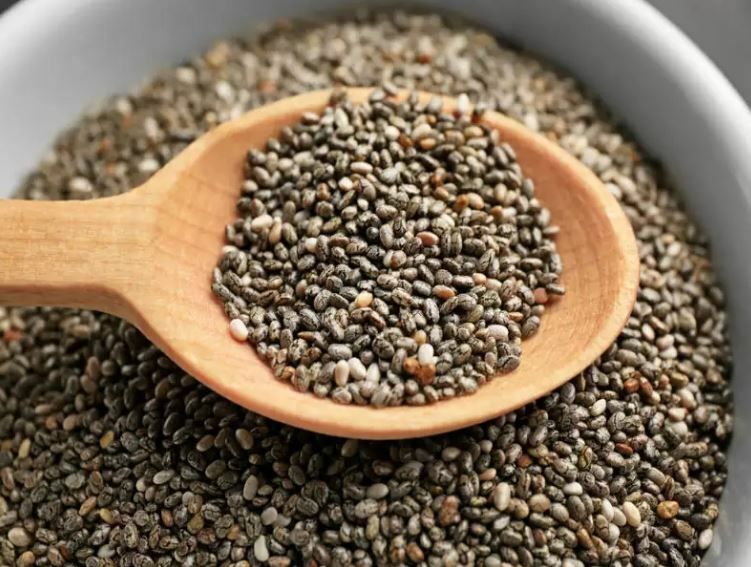 Chia Seeds contain massive amounts of nutrients along with the ability to help you sustain energy from eating them for longer, which is what's given them their recent superfood status. They also contain zinc, vitamin B3 (niacin), potassium, vitamin B1 (thiamine) and vitamin B2. Adding Chia Seeds into your diet can be surprisingly easy! It's easy to add them to your morning bowl of porridge or chia puddings are easy to prepare and healthy to eat at any time of the day or night. They're also included in snacks like our Ginger & Chia Cookies too that make a great allergy friendly lunchbox snack for kids or adults alike! a high quality protein, are high fiber and omega-3 fatty acids and may even help lower risk of heart disease, lower blood sugar levels and also help bone health. They're also great for helping to calm unsetlled stomaches or nausea especially morning sickness. They really are a no-brainer when it comes to nutrient dense foods that are only going to do both you and your baby the world of good. Oats are another of the most nutrient dense foods you'll be able to find too that have benefits to everyone but particularly to pregnant or breastfeeding mums. Plus they're also a great source of protein & fiber AND for breastfeeding mums they're also a galatogogue - a food that may help to increase milk supply. Click here to read more about how they can help breastfeeding mums. 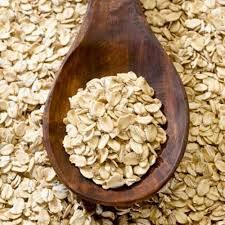 We include oats in our entire Yummy Mummy Food Company Cookie Range for all these reasons! There's been a huge surge in coconut products becoming available in the past few years and for good reason. Products derived from coconut milk or other parts of the coconut and made into coconut water, coconut oil, yoghurt and even icecream are a great way to receive high quantities of nutrients that are also dairy free! Coconut water is a great way for pregnant and breastfeeding mums to keep hydration levels up while also receiving the added benefits of the high mineral content it contains. Also, adding Coconut Oil to foods or using it to cook with is an amazing way for mums or mums-to-be because it contains lauric acid which is a medium chain fatty acid. Mothers’ milk also contains lauric acid. It’s also reputed to be antifungal, antiviral and anti microbial and it’s great for your hair and skin as well. Like oats, there's good reason our entire cookie range includes this nutrient dense superfood! Don't be fooled by the 'wheat' part of the word Buckwheat - there is nothing grain/wheat about it! Buckwheat is actually a fruit seed, related to rhubarb and sorrel making it great substitute for grains for people who are sensitive to wheat or other grains that contain protein glutens. One cup of buckwheat contains high amounts of manganese, copper, magnesium, phosphorous, fiber, niacin, zinc iron, vitamin b6, folate and selenium. All essential nutrients for mums and growing babies alike! The list of nutrient dense foods can go on and on, but hopefully this helps show the importance of reading labels and researching individual ingredients to ensure they really do contain nutrient dense ones. As a mum or mum-to-be your health and the health of your baby is worth spending the time!! How Soon Before Having My Baby Can I Start Eating Lactation Cookies? What it's Really Like...for a mother and baby with a Candida Infection. What is a Lactation Cookie?